Breeders have been accused of creating “bizarre mutant cats” after a new scientific report described a series of deformities found in some highly-prized pets. Welfare experts and vets have even warned that many cats now have their fur shaved from between their back legs because they are so deformed they are no longer able to clean themselves properly. 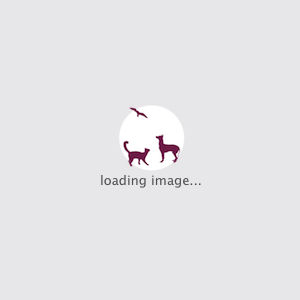 The row comes as the Governing Council of the Cat Fancy (GCCF), the organisers of yesterday’s event, is preparing to bring in new guidelines on breeding policy, in a bid to avoid some of the controversy that has beset the dogs’ show Crufts in recent years. Among the measures will be a ban on breeding between siblings or between parents and their offspring. Although the issue has so far attracted less attention than health problems among dogs, welfare concerns about pedigree cats have been increasing. As with dogs, cats are bred selectively to exaggerate various physical characteristics which are considered attractive, such as the length – or absence – of fur, the size of an animal’s legs or the shape of its skull. 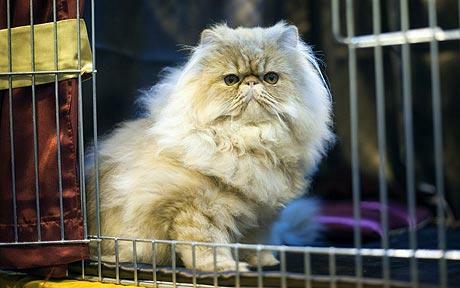 One major concern relates to breeds such as Persians – one of the most popular in the UK – which are bred to have a flat, “childlike” face. In a new report, in the latest edition of the Journal of Feline Medicine and Surgery, vets from the University of Leipzig in Germany studied some of these animals and carried out “CT” (computerised tomography) scans to show how distorted their skulls had become. The team found that the tear ducts and airways had become obstructed as a result of the inbreeding, meaning the animals’ tears do not drain away properly and cause breathing difficulties. The cats’ misshapen skulls also cause their jaws and teeth to grow at odd angles. In the most extreme cases, they were left with teeth that were almost horizontal. Experts say that some animals also have such bulging eyes that they cannot close their eyelids properly. In an editorial in the journal, leading welfare expert Claire Bessant, the chief executive of the Feline Advisory Bureau (FAB), wrote that some animals had become “a bastardisation of all the things that make cats special”. The experts warn that current breeding is leading to the “bizarre mutant cats that could not exist without veterinary intervention”. As well as problems associated with flat-faced cats, the writers also outlined concerns over other breeds, such as the Siamese, large numbers of which suffer from sight problems. The animal has been bred for its extreme “wedge shaped” heads and, in some cases this is leading to a condition where their skulls are too small for their them. The writers also point to problems with Manx cats, which are prone to spina bifida. The writers claim that health problems affecting some breeds meant that long-haired cats are left unable to groom themselves properly and that shaving between their back legs has become popular in order to keep them clean. The writers call for an immediate ban on breeding of badly-deformed cats, changes to breed standards and even suggest that the RSPCA could prosecute some breeders. John Hansson, the chairman of the GCCF, said the new guidelines had yet to be finally agreed upon by the council, but it would be brought in shortly. “There will be guidelines about testing for genetic problems and rulings on what is acceptable mating and what is not – so you won’t get mother to son and father to daughter and siblings mating,” he said. Experts believe there are health problems now associated with most breeds. The most popular breed in the UK, the British shorthair, is prone to a kidney disease which causes death. The almost hairless Sphynx cat, which is becoming increasingly popular, has been bred since the 1960s from a genetic anomaly in the Devon Rex, another breed. Sphynx cats have to be kept indoors because their lack of hair makes them vulnerable to cold in the winter and sunburn in the summer and they have also been linked to other skin diseases. Burmese cats can suffer from pain around their face which can lead them to scratch themselves.